What Are Common Back Injuries You Could Suffer If You Work at a Nuclear Power Plant? While safety is an obvious concern at a nuclear power plant, workers can be hurt in a number of workplace accidents. These most often have nothing to do with radiation exposure. One common type of injury workers can suffer with is a back injury. If you hurt your back in an accident at Plant Vogtle or another nuclear power plant, your injuries could cause you to experience chronic pain and limitations in your day-to-day activities—including your ability to perform your job. However, you may be entitled to benefits under Georgia’s workers’ compensation laws. Heavy lifting, repetitive movements, and awkward positions can cause muscle strains—often in the worker’s lower back—or spinal ligament strains. In some situations, the strain can be severe enough to cause painful back spasms. Disks operate as a cushion between the vertebrae in a person’s spine. Bulging disks, also known as herniated disks or pinched nerves, and ruptured disks occur when the soft tissue inside the disk bulges or ruptures, pressing on a nerve and often causing severe pain. A broken back is a fracture of the vertebrae in the lower and upper lumbar region of the back—the lower back area where the spine curves inward toward the abdomen. It is often the result of an acute injury, such as a fall from a height or a vehicle or machinery accident. Immediate medical care is essential as a broken back can be fatal. A spinal cord injury is usually the most severe back injury a power plant worker can suffer. Depending on what part of the spinal cord was injured, the worker can experience partial or full paralysis—or death. When a worker performs the same movements repeatedly or suffers with a herniated disk, his nerves can become damaged and he can suffer pain in his legs or back. If over-the-counter medications are not working, a doctor could prescribe muscle relaxants, topical pain medicines, cortisone injections, or other medications to reduce pain. Physical therapy plays an important role in the treatment of back injuries. A worker could need months or more of physical therapy for his injury. When he suffers with periodic episodes of back pain, he may need to resume physical therapy or other treatments to treat the injury. While surgery is not always needed, a person whose back was broken or who suffers with a herniated disk will often need surgery as well as physical therapy and pain medications. In many cases, a doctor will decide not to perform surgery until the patient undergoes physical therapy to see if this will resolve the problem. 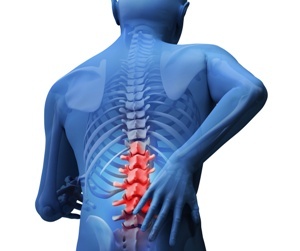 Claims for workers’ compensation benefits for back injuries can be challenging to settle. If you suffered a back injury at Plant Vogtle or another power plant in Georgia, you need an experienced workers’ compensation attorney to help you fight for the benefits you deserve. Review our testimonials to see how we have helped other clients. You can contact us online or call us directly at 706.863.6600 to schedule your free consultation.